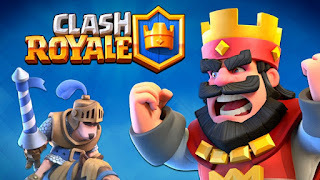 Clash Royale is a mobile strategy video game developed and published by Supercell. The character in Clash Royale are similar to Clash of Clans but the game design and game play is quite different. It has a real-time duel mode attacking system and has the objective of collecting cards so to unlock the characters. Clash Royale launched for iOS and Android, but is only available in Canada, Hong Kong, Australia, Sweden, Norway, Denmark, Iceland, Finland and New Zealand. While players reside outside of these countries can make a tricky to download Clash Royale. So how to download Clash of Royale on iPad,iPhone,iPod or on Android devices in USA, UK, France, Taiwan, Singapore, Korea, Japan or in any other countries where Clash Royale is not yet released? The easiest way is to have an Apple ID of the country that Clash Royale launched or change Google Play store country/region. Make an Apple ID from https://appleid.apple.com/account. Make sure you set the region to Canada, Hong Kong, Australia, Sweden, Norway, Denmark, Iceland, Finland or New Zealand. Go to your iPhone/iPad's settings - iTunes & App store, login in with this new Apple ID. Input the information it required, such as address, city, state etc. Just google for address and phone numbers. You can use a fake address but the City, Province and Postal Code need to be correct otherwise you can't pass this step. Open App Store, search for Clash Royale and download it. Sign into your Google Wallet account - https://wallet.google.com/manage/paymentMethods. Delete all of your payment methods from Google Wallet. Add a card to one with a billing address match your intended country. Change your Home Address to the country you want to access. You can do this by going to Settings in Google Wallet. Open Play Store and select any thing which is available for download. Click to start downloading until you reach the "Accept and buy" screen (no need to complete the purchase). Close the Play Store and Go to Settings - Application Manager (Apps) - All - Google Play Store and Clear both Cache and Data. Re-open the Play Store, you should now see the Play Store that matches your default payment instrument's billing country. Install a VPN app on your device. Connect to the VPN servers in any intended country. Once you are done, go to Settings - Apps - Google Play Store app. Tap on "Clear Data" and "Force Stop." Re-launch the Google Play Store App and enjoy different locations. I want to change my country location.can i change?let me know how to change. Thanks for sharing the wonderful information. It was really useful.